Online dating is officially mainstream. "We met on Tinder" is the new "we met at a bar." Countless children have been born whose parents met on a dating site or an app. According to a survey conducted by popular wedding planning site, online dating is the most popular way that currently engaged couples met. And as the mobile app market continuously grows, the number of dating apps grows with it. With so many options, it can be hard to know where to find the best crop of potential mates. Each of the dating apps out there has features that will matter differently to you depending on your lifestyle, what you want, and what's most important to you. But the one best thing that comes with the dating apps is that you can meet people from all around the world, which was particularly more difficult in the past. 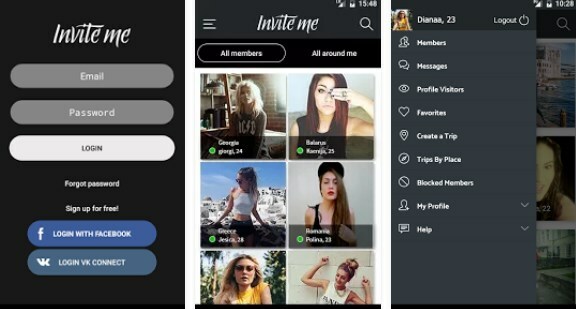 Invite Me is the app that takes online dating on a whole new level. This app gives its users the opportunity to meet people from all around the world, especially the places they plan on visiting. For example, if you have planned a vacation at, let’s say, France the chances are you know not a single person there. With the help of the Invite Me app, you can meet people from the place you plan on visiting so when you go there you can get together, hang out with them, and who knows maybe you’ll meet your soulmate.